Our focus is the Democratic Republic of Congo, Africa. We invest our energies and monies in the area of literature, education and community health. Our use of the term community health encompasses spiritual, physical, relational, and economic well being of the community. Our mission is resources…to provide fishing poles and access to the pond. 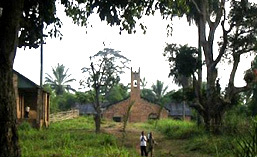 The Congoles e Church knows how to fish…They lack the fishing poles (resources) to go fishing. Our practice is faith…Proverbs 16:9, “We make our plans, but the Lord determines our steps.” We don’t shy away from making plans, setting goals and objectives however, we want to be in step with the Spirit (Galatians 5:16, 25) If God changes our plans or directions, we are perfectly fine and at ease with that. God told Gideon, “Go with the strength you have…I will be with you.” That is our desire and prayer. Start with where we are and with what we have and let God direct and provide along the way.